Microsoft skipped version 9 and announced it’s upcoming operating system Windows 10, successor to Windows 8 at an event in Sans Francisco by Terry Myerson, Executive Vice President, Operating Systems at Microsoft. The rumors were the new OS will be called Windows 9 but Microsoft surprised by announcing Windows 10 instead. 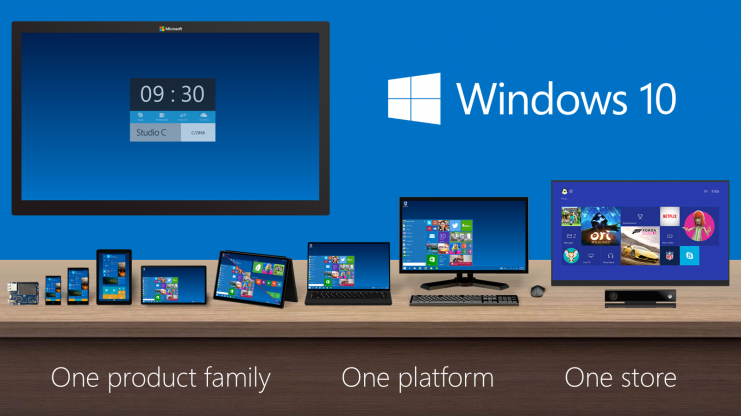 Windows 10 will run across broad set of devices – from the Internet of Things, to servers in enterprise datacenters. These devices can be from 4 inch screens to 80 inch screens and some don’t have screens at all. One product family, with a tailored experience for each device. Windows 10 will make things easier for developers. Software developers will be able to write and publish universal apps and target the entire family of Windows devices. The Store updates and purchases will be also uniform across all the devices. The latest Windows has lot of changes over Windows 8, The most important is return of the Start Menu. Other noteworthy changes are the ability to run touch-optimized (metro) apps in windowed-mode and ability to add multiple desktops/virtual desktops. Apps from the Windows Store now open in the same format that desktop apps do and can be resized and moved around, and have title bars at the top allowing for maximize, minimize, and close with a click. Users can snap 4 apps to same screen with a new quadrant layout. A new task-view button on the taskbar for quick switching between open files and quick access to any desktops you create. Microsoft also introduced Windows Insider Program. Those who are interested to test Windows 10 previews, sign-up for this program and will receive early builds of Windows 10. 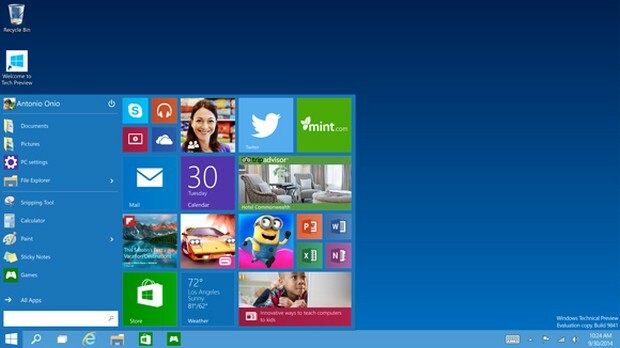 Based on user feedback, Microsoft is planning to fine tune the Windows 10. And will be launched for consumers in early 2015.